If you have received an overpayment from Centrelink, or any other government organisation, you may be charged with a criminal offence, depending on the circumstances. Offences involving Centrelink are classified as Commonwealth Offences, which means that they are dealt with under the Criminal Code Act. What is a Centrelink overpayment? A Centrelink overpayment can happen if you are paid a higher rate of Centrelink benefits than you are entitled to. It can also occur if you claim benefits that you aren’t entitled to receive. Centrelink overpayment can occur as a result of a genuine error. If you have been charged with a Centrelink offence, you will need to provide evidence that you didn’t knowingly claim or accept benefits that you weren’t entitled to. Just because you may have been overpaid by Centrelink doesn’t mean that you will automatically be charged with a criminal offence. If the amount is relatively small and Centrelink officials don’t believe that you deliberately misled or deceived them to obtain a financial advantage, it is most likely that they will ask you to pay the money back, either by taking a reduction in future payments, or by making a payment directly to Centrelink. There is a lengthy process of investigation that usually takes place before Centrelink decides to charge someone with an overpayment offence. 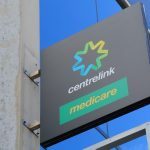 After the debt has been raised and Centrelink has taken steps to recover the money, there may be an investigation process that can take several months. Once this has been completed, you may be charged with an overpayment offence. You will generally be informed of any charges by receiving a Court Attendance Notice with the date and time of your hearing. What can I be charged with if I’m under investigation for Centrelink overpayment? The most common Centrelink charge is that of obtaining a benefit by deception (Section 134.2(1) of the Criminal Code Act 1995). This offence comes with a maximum penalty of 10 years’ imprisonment if dealt with in the district court. If it is dealt with as a summary offence in the local court, the maximum penalty you will receive will be 12 months’ imprisonment and/or a fine of $6,600. Other possible charges you face include obtaining a gain by deception and causing a loss by deception against a Commonwealth entity. Both of these offences come with a maximum penalty of five years’ imprisonment. To be successful, the prosecution will need to show that you dishonestly obtained a financial advantage by deception against a Commonwealth entity. To obtain a conviction, this has to have been done knowingly and with the intention of obtaining a financial advantage, rather than through carelessness or miscalculation. Will I still be charged if I pay the money back? If you are facing a Centrelink overpayment charge, you can still be convicted if you have paid the money back, although it’s possible that you could receive a more lenient sentence than if the debt is still outstanding. What are the best defences to charges of overpayment by Centrelink? There are a number of factors which the magistrate or judge will take into consideration when hearing the evidence for and against a Centrelink overpayment charge. If you can show that you did not deliberately set out to deceive Centrelink and dishonestly obtain a financial advantage you can in most cases avoid being convicted of this offence. Some factors that may help your defence include having a clean criminal record, paying the debt back, and whether there were any extenuating circumstances. 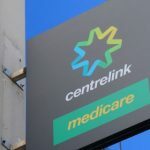 Even if you are found guilty, you may receive a more lenient penalty if you can demonstrate remorse, and if you are shown to have co-operated with Centrelink’s investigations. If you have been charged with a Centrelink overpayment offence, it’s important that you seek legal advice from a strong criminal defence lawyer as soon as possible. Your lawyer will be able to advise you on your best defence, whether you should plead guilty or not guilty, and what the likely outcome will be. Centrelink offences can lead to harsh penalties and imprisonment, so it’s important to take the allegations seriously.